With the New Year and a belated blog post, I must announce that Finn is back in full work for the first time in almost 2 years! Now that he has managed to stay in work for three months I feel it is time to do him some justice and celebrate the bay beast. Finn has been in my life for four years now and I still smile every single lesson. He is like that boyfriend you can never completely kick-- always a little too handsome for his own good even if he is totally trouble! 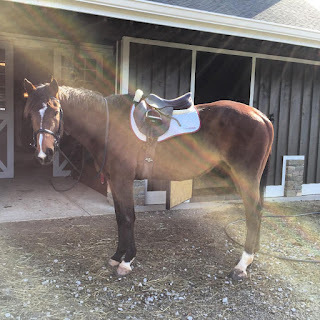 Recently I found myself at a new barn near Atlanta and had the pleasure of starting work with Bigtime Eventing Luckily, Lauren and her team proved that they really know how to make a horse happy and healthy! 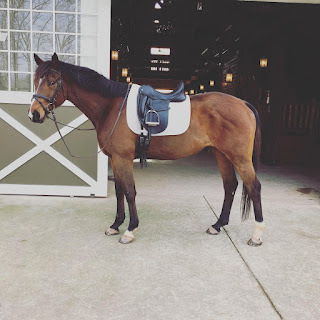 We tackled Finn's winter weight woes with a combination of good pasture and DynaSport making sure to slowly increase his intake wile also pushing him to build his topline. One really interesting thing that we found was that in a saddle that restricted his shoulder he would become extremely hallow and short stepped. Luckily, Lauren being the nice person she is offered me a ride in her beautiful Custom Saddelry Advantage I immediately noticed a huge difference in my position and was able to really ride effectively. Furthermore, the saddle allowed me to address my position and how it makes Finn struggle. Mostly, this meant moving my left leg closer to the girth and relaxing through the hip. In doing this I am able to free Finn's body up and allow his stride to open and extend. Here are some photos to show our progression this year! Back in July the wonderful people at SJTRA stepped up to the plate to help get Finn back in shape. Luckily they sent me this cute photo of Finn after his first few rides back. 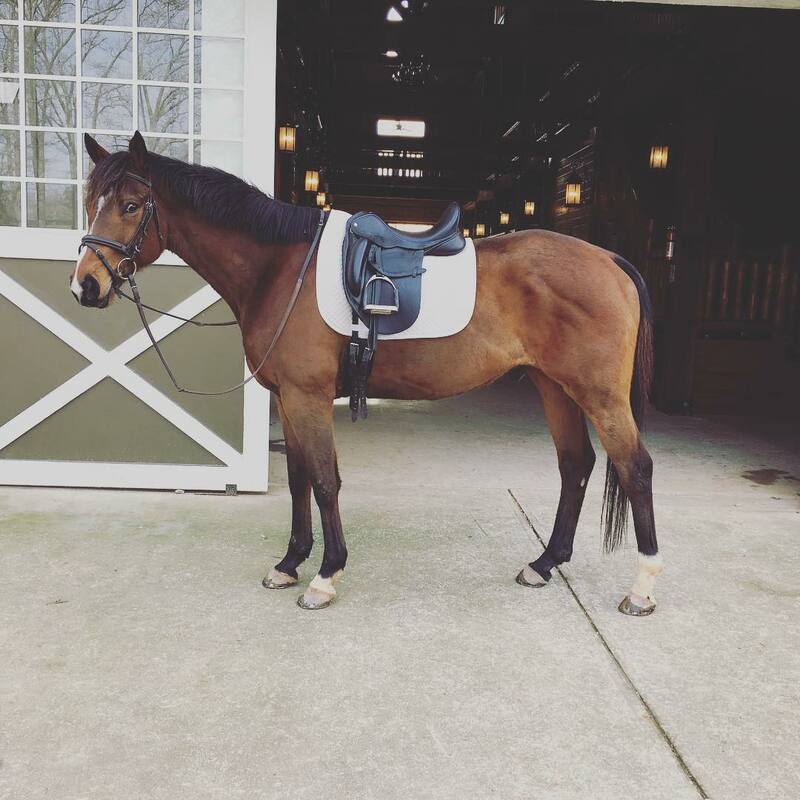 Notice the lack of hind end muscle and his more slight frame. In November, Finn moved to Atlanta with me and I started working him a little harder. It was at this point that we started him on MSM and used previcox to help with his transition to nail on shoes. Not only did the transition go well, Finn actually seems better than ever in the nail ons and we are starting to taper off the previcox with the show season in mind. This last photo is from this week after our school in Lauren's saddle! Notice the muscle in his hind end as well as the added weight! 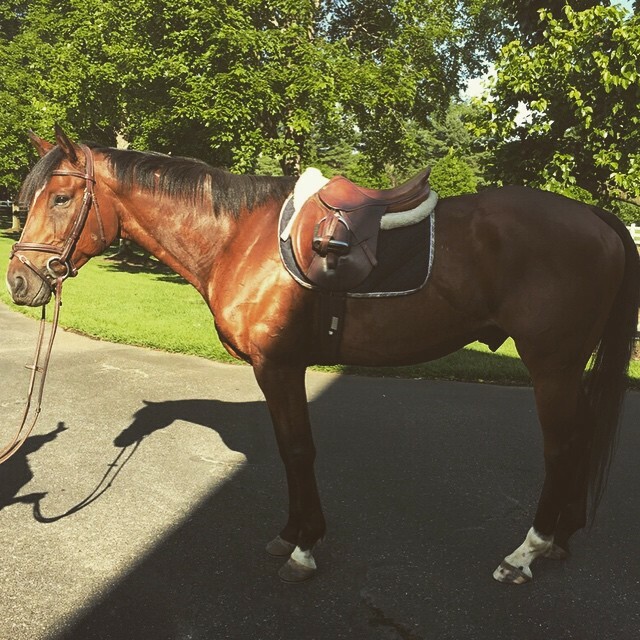 This week he will get a trace clip and mane pull in preparation for his first show back next month. Overall, I can't wait to update on Finn's progress, look out for Thursday updates from here on out as well as video clips from cross country school soon to come. Did you know that you can shorten your long urls with AdFly and get money for every click on your short links.